There are many events in our community and nationwide that are open to our guild members for selling and displaying their artwork. There are also many other opportunities and events that are looking for our talented artists and instuctors as well. Some of these are listed below. Now in its 55th year, Craft + Design is a museum-quality show that has garnered a reputation for showcasing the finest in contemporary craft. Shoppers spend the weekend browsing the work of over 150 artists from across the country. Awards are presented in ceramics, precious metals, glass, wood and recycled materials, contemporary design, innovative use of traditional craft materials and fiber. The event will take place November 22-24, 2019 at Main Street Station’s renovated train shed. The Craft Day event will have an emphasis on traditional crafts, and we are particularly interested in finding artists who are willing to demonstrate their crafts onsite. The Old Cotton Gin is a wonderful venue. It can accommodate 60-70 vendor spaces (and we were filled to capacity for A Farmers Christmas). Vendor fees will be kept very reasonable. This is a juried event. Invitations and applications for this event will be issued beginning January 1, 2019. If you are interested, please contact Deborah Phillips at phillipsguide@nc.rr.com or 252-879-0022. Cocoon Gallery is pleased to present Jewelry Box 2018, a Juried 3D Exhibition. We seek to entice artists of all 3D mediums to investigate and explore the potential of the jewelry box. What is a box? What makes a jewelry box different from any other box? Does a jewelry box have to have corners, hold many pieces or only one piece, have to be functional? What materials can be used to house jewelry? Is the box the jewel? Is the jewel a box? What makes your jewelry box special - the materials, the design, the craftsmanship? Carolina Fiberfest is now accepting workshop proposals for 2019. If you would like your workshop to be considered for this upcoming event, please submit a proposal no later than August 15, 2018. DESCRIPTION: The Town of Chapel Hill invites artists to apply for the 2018 – 2019 Juried Exhibitions Series. Original two- and three-dimensional artwork by selected artists will be displayed for a two- or three-month exhibit in Chapel Hill Town Hall or The Chapel Hill Public Library between November 2018 and December 2019. Selected artists will also be invited to exhibit one or two pieces of a curator’s selection in a special Juried Exhibitions Retrospective group show. ELIGIBILITY: Open to all artists creating original artwork that can be hung indoors or displayed in glass cases. To download the document with links to the competition rules and entry forms, click here. For more information, please call N.C. State Fair Entry Department at (919) 839-4515. Entry Deadline: OCTOBER 10, 2018. The North Carolina Botanical Garden will host our second annual Winter in the Garden event on Saturday, December 8, 2018 from 5p to 9p. The garden grounds will be showcased with exciting light displays along with live music, family activities, a Carolina Blue Santa, and food vendors. NCBG is also partnering with the UNC General Alumni Association to attract the larger UNC community. 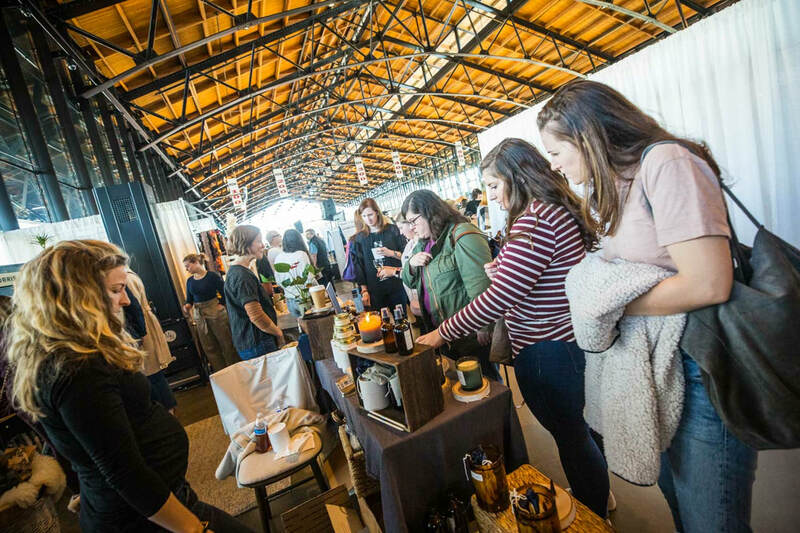 This year we are adding a craft market to showcase Triangle and North Carolina artists. We invite you to join us by signing up for a booth. There is a flat fee of $40 and details about the event, venue, and booths are included in the application. Applications must be received by 11/21/18. Questions? Contact the market coordinator, Nadia Alamo, at nalamo@unc.edu or 919-962- 3065.